By any means, Salzburg is a safe place. You do not need to worry about going out even late at night. That being said, Salzburg is a big city and "normal" precautions should be taken. For example, keep money in a wallet or better a money belt, consider possible pick pocketing in crowded areas especially in the summer and avoid drunken crowds. Some areas in the northern outskirts can be a little dodgy, but tourists normally don′t get there anyways. Generally, Salzburg is certainly among the safest cities in the world, so relax and enjoy. Health issues: Austria has compulsory public health insurances and an excellent public health system. Many European countries have treaties with Austria, extending national public health insurances to your stay in Salzburg. However, if you require medical treatment in Austria, sometimes you will have to pay the costs; don′t panic, you will receive a receipt in that case and your insurance will cover your expanses. Make sure in advance of your journey that you are covered by a health insurance. The medical emergency numbers in Austria are 122 for medical aid, 144 for firemen and emergency doctors, and 133 for police. A central police unit is located near the Staatsbrücke and indicated by a "Polizei" sign. There are several hospitals in Salzburg. A good private one is the Diakonissen Krankenhaus ("Krankenhaus" means hospital) in the scenic district of Aigen. Doctors are largely fluent in English, most policemen and nurses will speak at least basic English if not better. Hospitals: Salzburg has excellent medical facilities, such as the Unfallkrankenhaus Hospital, at Dr.-Franz-Rehrl-Platz 5 (tel. 0662/65800). A private hospital is the "Krankenhaus und Konvent der Barmherzigen Brüder", Kajetanerplatz 1 (tel. 0662/80880) and the Diakonissen Krankenhaus in the Guggenbichlerstraße in Aigen. Emergency calls: Police tel. 133, Fire brigades tel. 122, Ambulance tel. 144. Dentists: Call the Zahnarztkammer to ask for English-speaking dentists, tel. 0662/873466. Doctors: Call "Ärztekammer für Salzburg", Bergstraße 14, A-5020 Salzburg (tel. 0662/871327) to ask for English-speaking doctors. 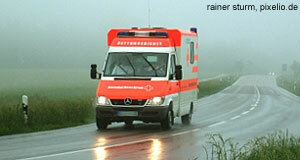 The Medical Emergency Center of the Austrian Red Cross maintains a hot line (tel. 141) for medical requests. Pharmacies: Generally open without a break Monday through Friday from 8 am to 6 pm and Saturday from 8 am to noon. Pharmacies in small towns near Salzburg and in the suburbs have generally the same hours but some of them might close for lunch, usually from 12:30 to 2:30 pm Monday through Friday. There is the pharmacy Elisabeth-Apotheke, Elisabethstraße 1 (tel. 0662/871484), north of Rainerstraße toward the train station and the one to the opposite of Mirabell Castle. Daily papers normally inform about pharmacies with current night-services.